Thank you for your interest in Westwoods Dental, located in Kingston, Ontario. 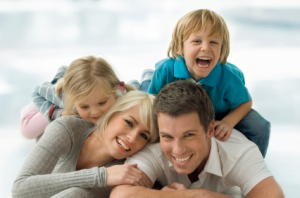 We are a general dental practice focused on family and cosmetic dentistry. We look forward to being of service to you and your family. Dr. Matthew S. Fecica and Dr. George V. Proud, together with their team of experienced dental staff, provides the highest standard of professional care in a friendly, comfortable and fully accessible environment. The Westwoods Dental team strives to ensure your family will receive the finest dental care possible. Our goal is to provide unsurpassed quality in a compassionate environment of professionalism and clinical excellence. We hope to exceed your expectations and look forward to being of service to you and your family. We hope that the information provided here answers many of your questions about our office, as well as many of your questions concerning general dentistry. If you would like additional information, or need a dentist in Kingston, Ontario, please do not hesitate to contact us at (613) 389-1099 or by email: info@westwoodsdental.com. If you’re looking for a dentist in Kingston, look no further! Westwoods Dental is accepting new patients, and we will be pleased to serve you. To learn more about Westwoods Dental, start at our Information for Patients section. And of course we are always happy to answer your questions by phone or email. Information for Patients: From your first visit to financial and cancellation policies. Dental Procedures: What we do. Contact us: Where we are, and how to reach us. Need to see a Dentist in Kingston, ON? Westwoods Dental serves Kingston, Ontario and surrounding areas.